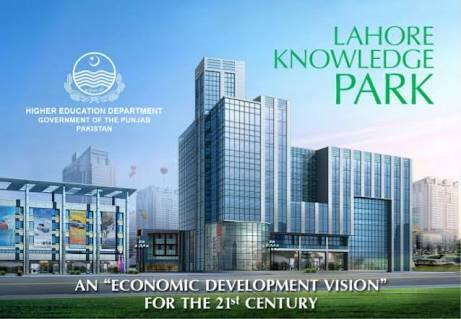 Punjab Government is determined to build the Knowledge Park in Lahore and now the government has started the construction of Knowledge Park there. This will be the first education center having the international standard and repute in South Asia, which will cover the area of 852 acres in Lahore. This project of the knowledge park will cost for $1 billion and it will bring the academia and it will provide the business altogether and it will help in boosting the research activity within the province. This park will have the potential to turn the province of Punjab into the knowledge based economy. It is for the information of the students and general public that this project was conceived few years before and the trunk infrastructure was going to be completed. Now it has been informed to the general public that the ground work of this project has been completed now and the basic infrastructure is going to be started. Now the basic work will be started in September and it will take time of 18 months to complete this project. It is said that the Knowledge park project was being built at the up-market in Lahore and now it has been said that the location of this project has been changed and now it will be built in the outskirts of Lahore city, which is few kilometers away from India-Pak border. It is not sure what has happened on this big project as the Punjab government has already told to the public about the construction of this big project. But there was big misunderstanding between the management staff and the groundwork team. 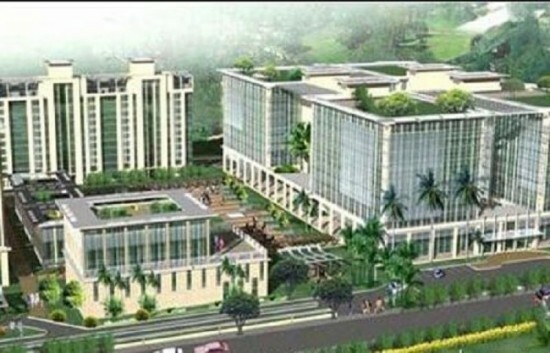 The Knowledge Park is the big project and it will be constructed on 852 acres of land. This knowledge park will be added with the residential facilities for the local and foreign students and teachers. This knowledge park will include recreation center, shopping mall, universities, schools, sciences and innovation hub, green area, retail and central business districts. Punjab government will also provide various other facilities to the students to make this park more convenient. The Knowledge Park of Lahore will be masterpiece of public-private partnership. The government of Punjab will spend about 20% of the equity and the remaining amount will be provided from the private sector over next 25 years. The government has given the contract to the company based in Singapore. In this knowledge park, the key areas are targeted, which will be included with life sciences and bio-technology, information technology, science, engineering, computer sciences and creative industry. The administration of the Knowledge Park also said that the park will generate about 173 billion in shape of labor and Rs.35 in forms of taxes. The corporate income of the Park will come to Rs.178 billion. It is also briefed by the CEO of Lahore Knowledge Park, Shahid Zaman and he made some big claims over the publicity of the Knowledge Park as the wonderful and latest project. It is also claimed that this project will create about 40,000 jobs and it will give 11200 PhDsby the year of 2040. The CEO of Knowledge Park says that as soon as the basic infrastructure will be developed, the government does not need to invest in it and two universities will be developed there. In this knowledge park, there are about eight to ten universities, which will start their campuses at this park.